Knapen S.E., Van de Werken M., Gordijn M.C.M., Meesters Y. 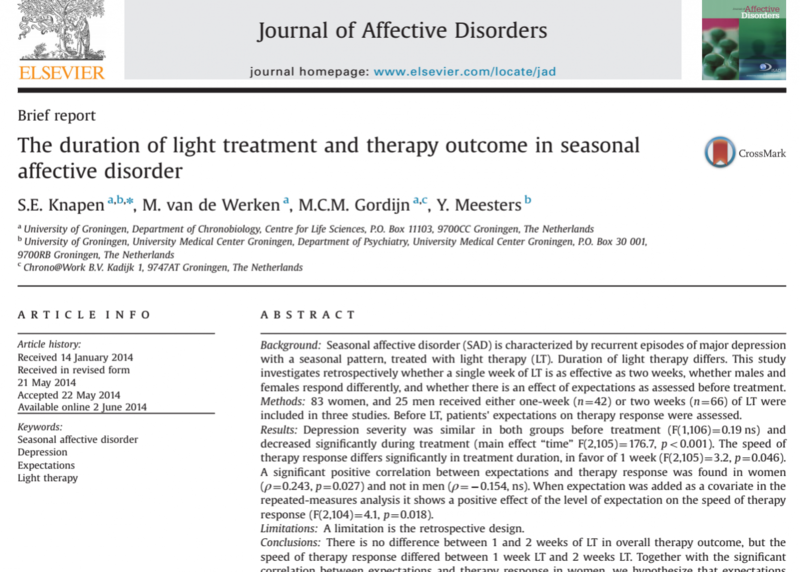 The duration of light treatment and therapy outcome in seasonal affective disorder. Journal of Affective Disorders, 166: 343-346. (2014). Giménez M.C., Beersma D.G.M., Bollen P., Van der Linden M.L., & Gordijn M.C.M. 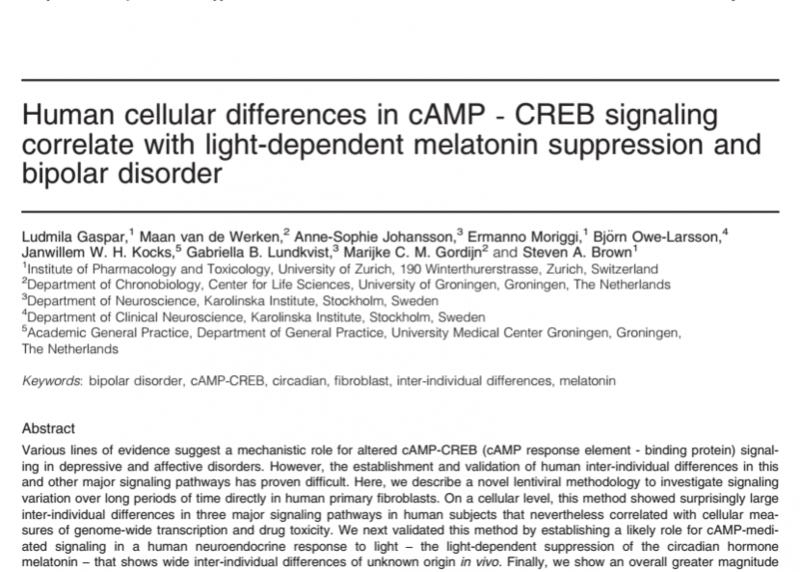 Effects of a chronic reduction of short-wavelength light input on melatonin and sleep patterns in humans: Evidence for adaptation. Chronobiology International, 31: 690-697. (2014).